This article originally featured in the January 2019 issue of Homeland magazine and is republished with permission. 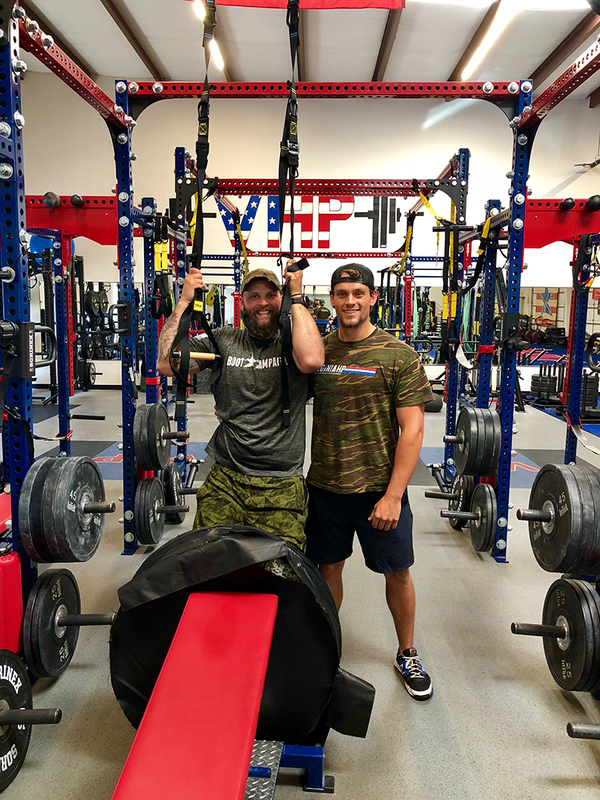 Former Navy SEAL Morgan Luttrell is the founder of a revolutionary health and wellness program for veterans with invisible wounds. He also happens to be the twin brother of Marcus Luttrell, fellow Navy SEAL and best-selling author of Lone Survivor – the book that became a box office hit and inspired five Texas women to start the national nonprofit Boot Campaign. The organization had been serving veterans and military families since 2011. So, when Morgan began working on a graduate degree in cognitive neuroscience and came up with a multi-directional plan of attack for treating invisible wounds of war, he brought it to Boot Campaign. The year 2019 marks the fourth consecutive year that helping veterans and military families struggling with debilitating wounds that cannot be seen, like traumatic brain injury, post-traumatic stress disorder, chronic pain, self-medication and insomnia, is top priority for the organization. Understanding that no one organization can address all of the complex issues that compound invisible wounds, Boot Campaign cultivates partnerships with top-tier providers across the U.S. and provides access and funding to individualized and comprehensive roadmaps to recovery. Funding not only covers services, but also gap funding needed to support time away from work and family in order to complete the program. 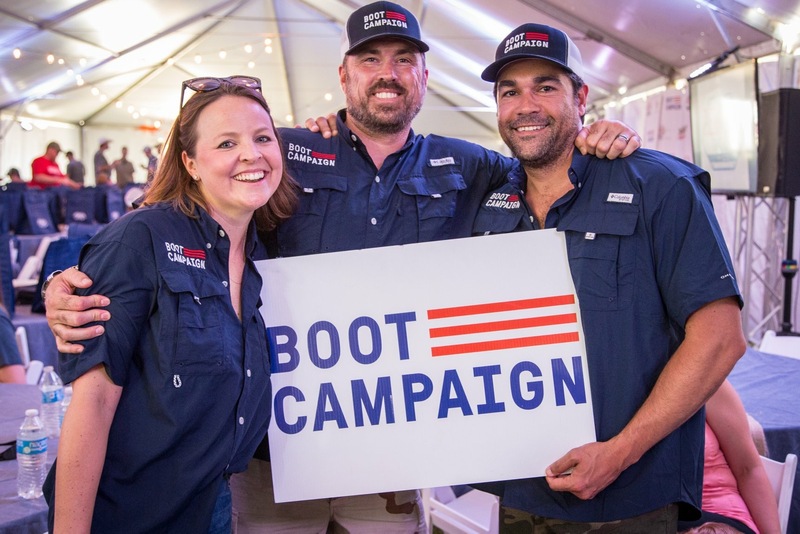 To comment on where Boot Campaign is and where it is headed in 2019 and beyond, Boot Campaign CEO Shelly Kirkland and U.S. Navy SEAL veterans Morgan Luttrell and Alex Oliver got together recently to provide Homeland Magazine with the latest SITREP. Kirkland is entering her third year at the Boot Campaign helm after previously serving as a senior executive with the Center for BrainHealth at UT-Dallas, a partner in the health and wellness program. Oliver, a 21-year Navy veteran, is the co-founder and CEO of Virginia High Performance (VHP), a facility with over 12,000 square feet of training, recovery and evaluation space based in Virginia Beach, Va. VHP also is partner in Boot Campaign’s health and wellness pipeline where participants work with educated and experienced coaches to attain new levels of fitness and the tools to maintain it. What was the inspiration for the Boot Campaign’s health and wellness program? Luttrell: In 2009, I was involved in a helicopter crash during a training exercise off the coast of Virginia Beach. The injuries I received were both physical and mental (TBI). Because of the community I was a part of, I was sent across the country to find and discover the leading physical and cognitive treatment and training programs to get back into fighting form. Through that journey, the brain and its health became a passion – so much so that I pursued an advanced degree in applied cognition and neuroscience. I wanted to make sure that every veteran and active duty service member had access to the same comprehensive care that I received while also furthering research that will change treatment and training for future military members. At Boot Campaign we recognized that there was a lack of effort to properly diagnose and treat and train veterans with various symptomatic issues and problems for both physical and cognitive injuries. Kirkland: Boot Campaign has always been flexible and adapts to the most pressing need of the military community. Invisible or hidden wounds were identified as one of the biggest obstacles to overcome, so we stepped in to fill the gap, get to the root cause of the issues, provide holistic, individualized and comprehensive care to return warriors to their families, their communities and their careers healthier and happier. Morgan and Alex were the inspiration, and in typical fashion, former Navy SEALs take action to make things happen. Oliver: My inspiration was the need to continue to serve. I may not be on the battlefield anymore, but I knew I could contribute to helping those who are still fighting or have finished their time on the frontline and hung up their combat boots. What are the biggest challenges you see veterans facing post-service? Oliver: There’s addiction to prescription pills that can lead to illegal drugs. There’s alcoholism related to lifestyle and coping and depression. There are major sleep issues which is one of the most important subjects to tackle because if you aren’t sleeping, more issues arise. Sleep is the key to performance both physically and mentally. Luttrell: For me, brain and mental health is the root of so many of the issues. If you’re struggling with TBI and can’t think clearly, it’s going to be hard to hold down a job. If you are emotionally reacting to everything because of PTSD, you will struggle in your family relationships. The brain is unique to every individual and the center of all. Identifying, treating and solving brain health challenges will determine our country’s future success. Through Boot Campaign we are able to help veterans distinguish the symptoms they are facing and find the proper facilities and medical institutes to address specific issues. Kirkland: Since I’m not a veteran or military spouse, the biggest challenge I see is the stigma associated with seeking help. Matters of the mind are not veteran only issues. They are human issues. Getting our military community to seek treatment is also a challenge. Less than 50 percent of military personnel and veterans with invisible wounds receive care, compared to 83 percent of warriors with visible wounds who do. Until we shatter the stigma associated with seeking brain health and mental health care, there will always be warriors suffering in silence and that breaks my heart. But it also fuels our team to inspire others to reach out their hand and ask for help. How is Boot Campaign filling the gap to ease the transition and get after the top five challenges of post-traumatic stress disorder (PTSD), traumatic brain injury (TBI), chronic pain, addiction and insomnia? Kirkland: Treatment costs are seven times higher for veterans with complex needs such as TBI and PTSD than those who suffer from physical wounds alone. Boot Campaign acts as a wellness agent getting veterans to the best care in the country for the “big five” issues. And we do it with care, compassion and comprehensive care so that the veteran does not have to worry about paying out of pocket for travel costs or meals or room and board. We want to eliminate any barrier that may prevent warriors from getting the help they need and so rightly deserve. Luttrell: Collaboration is the key and Boot Campaign and Virginia High Performance are taking a dynamic and strategic effort to extensively baseline both the body and the brain to create a personalized, precision treatment and training program for individual veterans. Oliver: Through a combined effort with our recovery pipeline, we can touch all key aspects affecting the health and wellness of a veteran. Each veteran is different, and each may need a different recovery program. Our success stems from our focus on customized care. What is your hope for the future as 2019 begins? Oliver: There is no end in sight to the war on terror. We are only scratching the surface when it comes to the number of veterans who need help; we just need funding, resources and more collaboration to grow and scale our efforts to reach more who are suffering. Kirkland: Like Alex said, we are a nation still at war – the longest to date in modern times — and for the foreseeable future, that war will continue. That means there will be more and more Soldiers, Sailors, Airmen, Marines and Coast Guardsmen, Reservists and National Guardsmen who will return from service needing our help to fully come home. According to the U.S. Census bureau, the post-9/11 veteran population is expected to increase 46 percent between 2014 and 2019. Individualized, precision medicine, treatment and training is what will be needed to help warriors kick-start their road to recovery. My hope for the future is that brain science continues to be a focus of significant funding and that more of us come together to get after and solve the public health crisis of veteran suicide and invisible wounds of war. Luttrell: My hope for the future is that one day what we have created at Boot Campaign through research and programmatic efforts will be scaled and adopted by government entities to make it accessible to all.